Enjoy some urban reads this weekend. Allentown is bustling with new business and retail. In the next phase of its City Center project, there is some controversy. The program relies to an extent on foreign investors lending money in exchange for green cards for themselves and their families. It’s called the Immigrant Investor Program. Allentown has also become home to 39 new Syrian refugees. In addition to adjusting to a new life, in the U.S., some of the distrust of the civil war in Syria has follwed the refugees to their new home. Fellow Syrians are also offering hope and support. How do Pennsylvania municipalities fund pensions? Read our pension series. Bicyclists want to share the road with cars and pedestrians, so communities are adding bike lanes. It’s harder to enforce the law when a bicyclist is traveling at an unsafe speed or disregarding other laws. Houston is piloting a program to enforce the biking rules of the road. 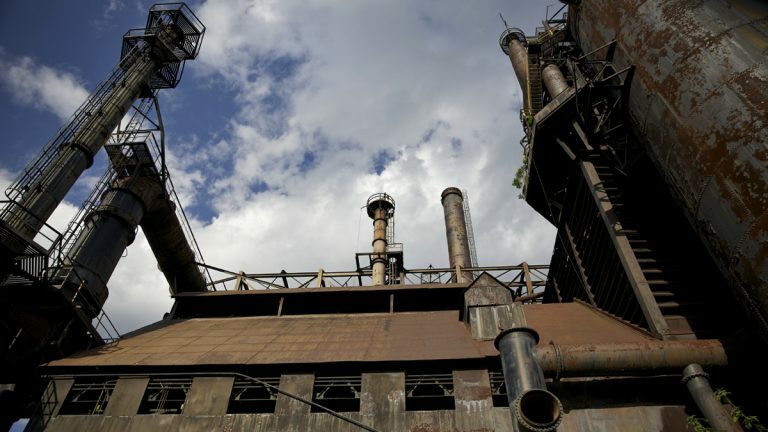 Bethlehem’s SteelStacks were once viewed as a symbol of decline, but after 20 years and healing and incentives, The Stacks have been highlighted in the city’s landscape and incorporated into an arts complex.Have a great weekend.